Most start-up musical outfits often feature the wide-eyed attitude of young musicians, who see the world as their oyster, ready to tackle their seemingly infinite futures with a libertine viewpoint that can only be held by those with little experience in the game. ons. With members having spent nearly a decade in the business, their understanding of what’s reasonable and possible—and what’s improbable—is more sharply defined than most upstarts. Yet that doesn’t mean they’re unwilling to make What’s Fair their most important musical effort to date.In fact, according to Timmy Costello, What’s Fair might possibly be the most prominent musical undertaking he’s been involved in, since his years as a bass player in the emo-rock band Park with guitarist Justin Valenti. The genesis of What’s Fair actually stems from their involvement in Park, as Valenti had approached Costello—who had left Park in 2005.The pair headed into the studio and began writing new material. After seeking a new sound, the pair asked keyboardist Faith Wheaton to join them in their collaboration, who had never been in a band before.The project hadn’t located its voice, so Costello and Valenti turned to their Park roots, tracking down a female vocalist who had sang as a guest vocalist on a Park album. “She had a beautiful voice,” Costello says, “so we decided, why don’t we just give her a call? She might or might not want to be involved.”Fortunately, their decision paid off, as vocalist Jo Pollock was very interested in being involved. “Turns out, she ended up loving the music, came in the studio, laid down one vocal take and that’s where it started,” Costello says.Immediately, the band’s focus shifted to that of Pollock’s lead vocals carrying the weight of the material that they’d composed, which was admitted more mainstream and straightforward than their previous efforts. “We wanted to write something that everybody could love but most of all, the vocals were the main part that people could identify with and love too,” says Costello. In preparing for the recording, Costello realized that he had hit a brick wall creatively. Seeking a change of pace and scenery, he once again tapped his background with Park by contacting Southern California-based producer Cameron Webb (Kelly Clarkson, Social Distortion, Weezer) for some recording assistance, who had recorded his previous outfit. Webb was unavailable to help with the What’s Fair album, but suggested that Costello contact producer Sergio Chavez (Good Charlotte, P.O.D., Motorhead). To solidify the recording , Jarrod Alexander was enlisted to play drums on the album (Dead Country, A Static Lullaby, Dead Sara). The resulting album is a collection of beautifully crafted tracks, topped with sparkling melodies, expansive harmonies and compositions filled with both intriguing depth and a fresh spirit. 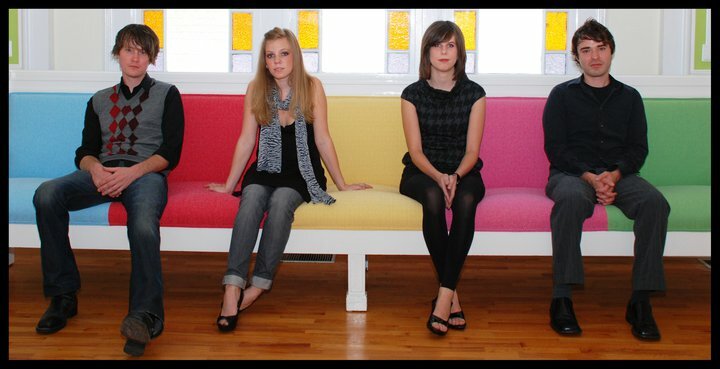 This female-fronted indie pop-rock act exhibits all the best qualities shared by some of its influences, which include Fiona Apple, Tegan and Sara, Feist, Meg and Dia and Coldplay. Now with the album completed, What’s Fair’s aim is to ensure that their hard work, efforts, talent and creativity can be shared with the rest of the world, either in recording or on stage. In fact, the band has already received a licensing deal with MTV Networks for television placement before the album’s even been released—it’s an immensely promising start, to say the least.